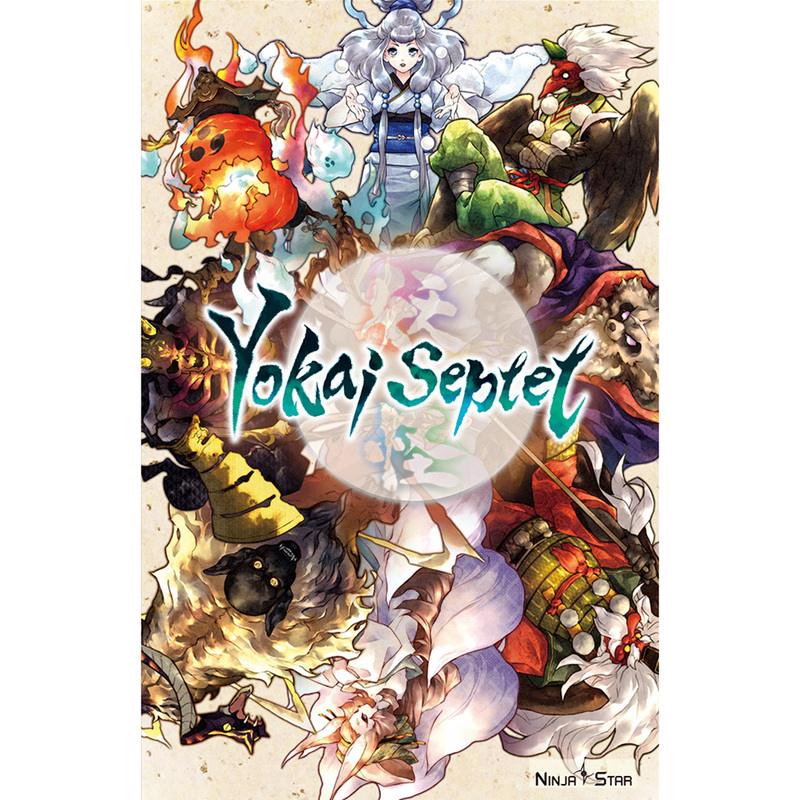 In Yokai Septet, your goal is to capture high scoring Boss Yokai by strategically playing cards from your hand. Each turn (called a �trick�), players play a card from their hand following the rules of the �trick-taking games.� What this means is that the first player of each turn can play any card from their hand. Remaining players in clockwise order must play a card of the same suit as the first player. If they don�t have a card of the same suit, then they get to play any card from their hand. After everyone has played a card, the player who played the strongest card matching the suit of the first player�s card takes all the cards played this turn. A new turn continues until one of the round�s end condition is met. At the end of the round, the winner of that round is determined. In a 4-player game, the game is played as a team battle of two players versus two players, whereas in a 3-player game, all players play individually competing. The winner of the round is the team that captured four or more Boss Yokai in a 4-player game, and three or more Boss Yokai in a 3-player game. The winner of the round scores points based on the Boss Yokai they captured. New rounds are played until the game�s end condition is met, which can be either 2 points for a basic game or 7 points for an advanced game. A 3 to 4 player trick-taking game about capturing Yokai, spirits that appear in Japanese folklore. When playing with 4 players, the game is played in 2 vs 2 partnership, whereas when playing with 3 players, the game is played free-for-all.